My aim is to contribute to remove the common misconception about vegan food as something boring, depriving, colourless and dull. Either you are a vegan or not, it does not matter, everyone are welcome on my website and I hope that my creative food space can both inspire and help you incorporate more fruit and vegetable in your diet. I want to help in showcasing how easy it is to be vegan as well as helping you find truly luxurious vegan gems all over the world when you are traveling by sharing my experiences in my vegan foodie city guides. I’ve been a vegetarian since I was the ripe, young age of 13, that’s when my journey first started towards exploring a plant-based diet and lifestyle. Since then my journey has continued and been at times quite adventurous, in terms of including both fine dining restaurants complete with celebrity spotting in the UK and US, to eating glorious food in a shack on some remote beach in South Africa. About 10 years ago, while living in London, I started to transcend into veganism without even thinking about it. I have since then dined at fancy all vegan gourmet restaurants to small corner restaurants owned by passionate vegan souls all over the world. As I’ve explored food through my travels, I’ve also explored vegan cooking through ample experiments in my own kitchen. Through asking the question – what if I would make a pancake without eggs? how could I achieve this beautiful, crisp and golden pancake that I can see so clearly in my mind? and gone about testing my way to find the answer to this by trial and error. The more knowledge I’ve accumulated through the years, the more “egg-replacement” and similar products I have thrown out of my kitchen to ensure my food is as pure and clean as possible. Ever since I can remember, I’ve loved baking and cooking food, and of course eating it. I love good food. I’ve always loved spending time in the kitchen and it’s a soul soothing activity for me. My number one inspiration is my mom, since she can cook anything and master it brilliantly. I seriously indulge in my foodie interests when I travel. I spend days researching restaurants prior to trips and make lists and map them out to ensure I visit them while I’m in that particular city or country. I also love exploring supermarkets in other countries, and it doesn’t matter if I’m wandering the streets of Budapest or a small town on Isle of Skye, I always manage to find a organic or local shop to intrigued explore the shelves of. For me there is a real connection between what we decide to put inside our bodies with our health, but also our mind. A nutritious plant-based diet has been a foundation in my life to help me achieve so much. From giving me energy and focus at work and learn new skills to endure excruciatingly painful sessions at gym. To going through a 2 year recuperation time from an illness and intrusive operation which left me with no spleen, weakened immune system and all layers of abdominal muscles separated and with a permanent thread inside me, holding the muscles in place. I don’t even dare to think of where I would have been otherwise, in what state. If I’ve eaten a “standard diet” today. During 2013 I worked together with one of Sweden’s first digital publishing houses, Turning Point FTW, to create and release a digital cookbook in the form of an app. The ignition and driving force behind my choice to do this is that I saw a perspective of vegan food lacking from the world. Particularly in Sweden where I at the moment reside. So instead of moaning about it, I decided to do something about it. The app was released internationally and was active from 2013-2016. 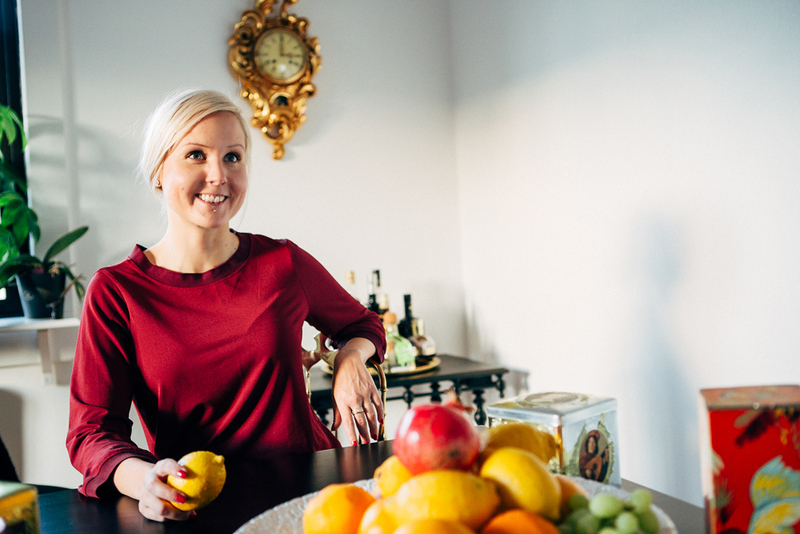 When released the app was immediately number one in Sweden’s AppStore, selected as app of the month by Vegetarian Living, written about in both Swedish and international press. I’m very proud of the app, the achievement and that Sonja Dahlgren took the beautiful photos that brought my recipes and vision to life. I’m so proud over this digital cookbook as it’s so beautiful and I hope it contributed to a refreshed vision of vegan food all over the world. However the app is not active anymore, and you can read more about why over here.